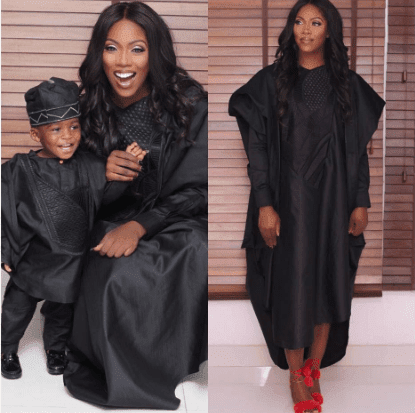 Nigerian singer, Tiwa Savage is an exceptional mother and she has shown us in a thousand and one ways how effortlessly she makes time to spend with her son, Jamil Balogun. Jam jam getting into it too (made by @ tiwasavage with @musical.ly) ♬ Bad (feat. Wizkid) – Tiwa Savage.